CTL builds our systems with industry best, brand name hardware. CTL wants your software installation to be as good as our hardware. CTL strives to provide customers with intelligently installed Microsoft operating systems on all of our computers. This means that the system you receive is installed with the latest drivers, the most current but proven patches and system options set with industry standard configurations. CTL updates, tests and verifies the images against Microsoft standards quarterly. The software CTL installs is designed to enhance the user experience; you won’t find ad infested demo applications on your new CTL computer. You can typically start using your new CTL system right out of the box. Premium Imaging is available to all customers order 50 or more systems. Large enterprises often need to buy or replace new computer systems in large numbers. Installing operating system and programs in to each of them one by one requires a lot of time and effort and has a significant possibility of human error. Therefore, system administrators use disk imaging to quickly clone the fully prepared software environment of a reference system. This method saves time and effort and allows administrators to focus on unique distinctions that each system must bear. CTL utilizes a network based disk imaging system co-developed by Microsoft and CTL to clone all of the systems. Want your computers delivered to you with your own organizations image? CTL can provide your customized image on all machines you receive. The operating system, service packs, updates, settings, configurations, and your standard software can be delivered to you preinstalled just the way you prefer. CTL sells many systems utilizing Intel’s stable Image platform. Unlike the consumer grade systems, these can be purchased for 18 months with the exact same on board hardware components. This makes your custom built system software images even more valuable as you can use these images for many systems you purchase through the extended life cycle. When getting systems that are going to remain stable, it only makes good business sense to ensure that you create the very best system and software image possible. CTL has the expertise and experience to help you engineer the optimal image for your environment. Our premium service includes assistance from CTL in creating the image and in trouble shooting issues with the installation. CTL engineers will help the customer understand configuration options and the impact of settings on the end user experience. CTL will send out a reference system which the customer uses to install their required software. A CTL engineer is available to help make choices regarding settings and functionality. Premium services include 4 hours of image consulting and an extensive verification process in the CTL lab. 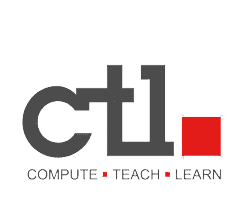 CTL will provide customer a configured system 3 weeks prior to initial ship date of complete order with the correct operating system, drivers and current patches installed. Customer will have 2 weeks to add software, configure their image, and send the file or machine back to CTL. Customer is responsible for all shipping charges. CTL will install the customer supplied image to every system requested. CTL will retain standard images for our products enabling your CTL system to be flashed back to a factory fresh state for the life of warranty. After receiving image from customer, CTL will inspect, verify and test the image, working with the customer on any issues or anomalies found. CTL will provide a report of how the image affects the load times and resource utilization. When image is deemed to be satisfactory by both CTL and customer, customer and CTL engineer will sign off on final disk image. CTL will perform Microsoft updates on image. If problems arise, CTL engineers and the customer will work together to resolve issues found to be caused by incorrectly installed or configured system software on customers image. CTL will re-image systems purchased with premium imaging services one time to the customer image until warranty expiration. Systems purchased with Windows 7 are configured to easily re-image utilizing a hidden restore partition and the Windows boot selection. Make separate rush order for 1 unit sent fastest way for customer image creation. Customer or sales rep fills out online form at http://ctl.net/imaging use customer name as image number if this is a new image. Reference machine is built with correct operating system, customized power settings, current patches and updates. Delivered to customer. Reference machine or image file isreturned to CTL. CTL checks options and installation for issues. CTL runs Microsoft tool to check load times, resource utilization. CTL works with customer to resolve issues and ensure integrity. CTL harvests image and stores on production server, creates image number. CTL installs image on the rest of customer’s systems. After delivery, CTL sales person calls to ensure customer satisfaction.